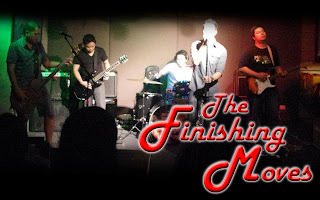 My band The Finishing Moves started back in June 2011. 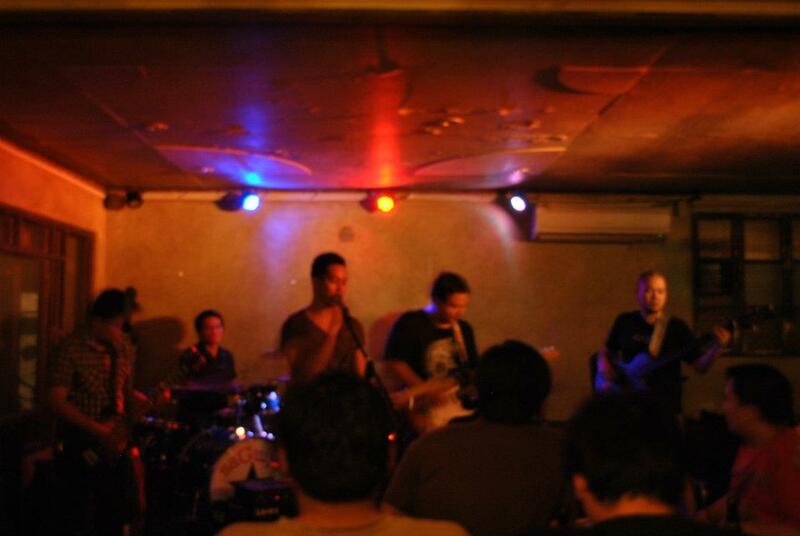 I was out looking for a new group to play with since my band at that time decided to take a break for awhile. I met Chris, our bassist, in a tryout jam for a "Creed" inspired cover band. Unfortunately, the band did not push through but we kept in touch. After a few weeks, I got a message from Chris inviting me to join an alternative rock band he was forming. He said he already has a drummer, Tobs, and he's out looking for a guitar player and a singer. At that time I was already talking to Les, our vocalist, and planning a band him with too so I also invited him to join us as well. And it turned out pretty well! After a few jams, Chris invited his friend, Weak, to join and play the guitar for us and so The Finishing Moves was born! Even though we have different tastes in music, we have successfully created a good alternative sound that we could call our own. Our inspirations include the following bands: Minus the Bear, Mutemath, Toe, Mastodon and Radiohead. Go check them out! They're streaming for free! :) And as I always say: "If you like what you hear, please like and share our facebook page to your friends as well." 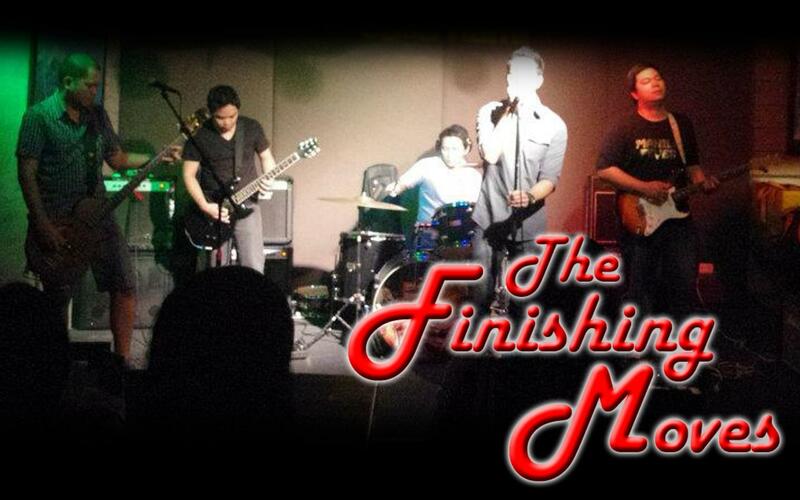 The Finishing Moves performing "I guess it's now over between us" at Casa Nami. How to start a band tip #2: Go out and find other musicians to play with. Local forums like Philmusic could open up doors for your musical journey. This forum has Musician Classifieds as well as specialized forums discussing the different topics including musical instruments. Just be open to opportunities and have fun. A lot of people are saying "Pinoy Rock Music" is dead. I strongly disagree. If you know where to go to, you'll see a lot of Indie bands making beautiful original music in the underground scene. It's just that most local rock bands now don't make it to mainstream radio because of all the fascination of pinoys with "K-Pop" and the usual OPM novelty pop. How to Start a Band, Tip # 1: Learn to play a musical instrument. If you have been planning to learn to play a musical instrument before or you really enjoyed playing "rock band"/"guitar hero" in the arcades, then you might have a calling! Now is the time to try and learn to play the real thing! With so much free resources on the internet, there's no excuse for you not to learn to play an instrument. Just make that first step and buy that guitar/bass/drums you've been looking at. It doesn't matter if you buy the cheap ones first for you could easily upgrade your gear as you get better and more serious in your craft. Of course, there's nothing better than learning to play a musical instrument than learning with a music teacher. Having a teacher would provide you with musical guidance and inspiration. You may take the "self taught" path but if you really want to learn faster, you should go out and find a music teacher. You may inquire at local music stores too for lessons.